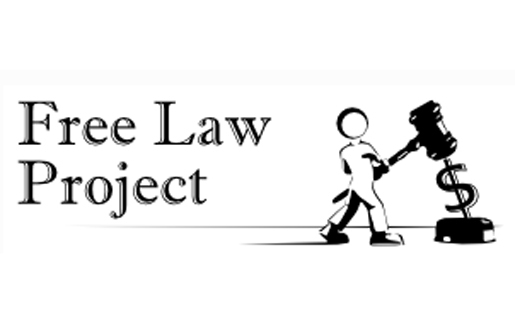 Free Law Project recently unveiled a new API for court opinions. If computers were preschoolers, they wouldn't be very popular students. They don't like to share their data, they don't usually talk to anybody, and they can be a little bit obnoxious if you don't give them what they want. Computers with government data on them would likely be even less popular. Those computers really don't like to share what they've got. The State Decoded is creating a platform to put state and municipal laws online, and in doing so they're working to make computers better at sharing government data. With the addition of an API back in February, they created a way for their computers to be very popular among the other computers. Their computers can share data with others in a granular and specific manner, whenever another computer asks. At Free Law Project, Brian Carver and I have been working toward solving a similar problem for the past several years. Instead of putting the law online as The State Decoded does, we have been putting the interpretation of laws online with the CourtListener search engine. We are collectors of all the big and little judgments that courts make across the country, whether it's a Supreme Court opinion in Citizens United or a small case in Hawaii about laser guns being used in traffic citations. Until recently, our computers weren't very good at sharing. Though we provided a 12GB bulk data file with all of our data, we didn't have an Application Programming Interface (API) — the ability for other computers to talk to our computers — and so we couldn't share our data with other great projects, like The State Decoded. All that changed last week, when we announced our RESTful API. Now, without too much trouble at all, other projects can get our data and use it however they want. We are making 2.5 million legal judgments available, with all their associated metadata. Show the most relevant opinions for a controversial topic, like abortion. And that's just the beginning. We're very excited to see the kinds of things people build with the tools that we've created for them. We provided The State Decoded with early access to the API, and they have already proven the value of sharing with others. For any law on their site, as you are looking at it, you will soon see the relevant cases interpreting that law. Knowing what a law says is very important, but with more complicated laws, it is only the beginning. Without knowing the ways that the law has been interpreted by judges over the past year, decade or century, you won't know how it is understood, nor how it is enforced. It is said that ignorance of the law is no excuse for breaking a law, but it is often the case that knowing the law is not enough and you need to know how the law works. The State Decoded does a great job of teaching the law, and with our new ability to share the data on CourtListener, they are able to guide you to the important cases interpreting it. Michael Lissner is the co-founder and lead developer of CourtListener, a project that works to make the law more accessible to all. He graduated from UC Berkeley's School of Information. Michael is passionate about bringing greater access to our primary legal materials, about how technology can replace old legal models, and about open source, community-driven approaches to legal research.